An efficient and economical telephone communication system is necessary for any company, but even more important for a small and medium-sized business on a tight budget. Understanding your business needs and then examining the different types of phone systems will help you make the right decision. 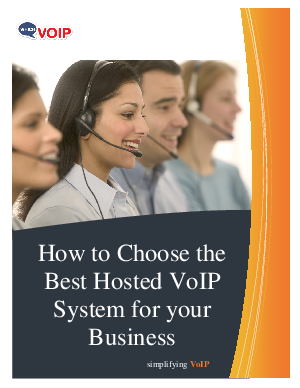 In this whitepaper, you'll find a detailed outline of how a hosted VoIP system works and the advantages of choosing one.